Yep, Gravillea is a backup. Did the car park idea work out last week? Yeah worked out very well. We will be there again this week. So far noone has noticed us. I'm a soon to be SR owner lol, so where do you guys meet up? Do you guys go for a group cruise & use the car park as sort of a launching point? Myself, Jake and a few other guys went looking for another Friday night meet spot for winter and rainy nights. We found a possibility and planning on trying it this Friday night. 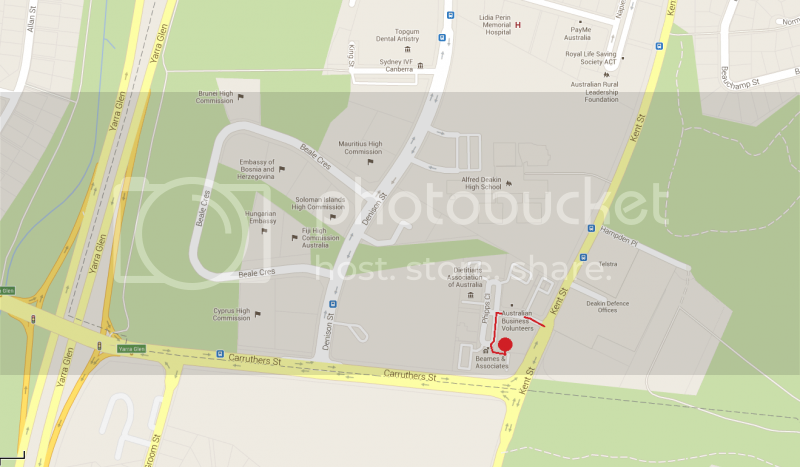 It's at one if the ANU carparks, so it is publicily accessible but a owned area. It has electricity which was turned on and we could setup our own gas heating. We went to the third level, which is not visible from ground level. The entranced marked on the map is the second level and there is a small speed bump on the ramp between levels. There are no residents around, however you can only drive in and out one way due to a mega speed bump on the lowest entrance. The really low cars can park on the outside carpark and also can be used if gates are up on the carpark (the multilevel area is still accessible by a stair well). ANU security may ask us to move on but we will cross that bridge when it comes to it. 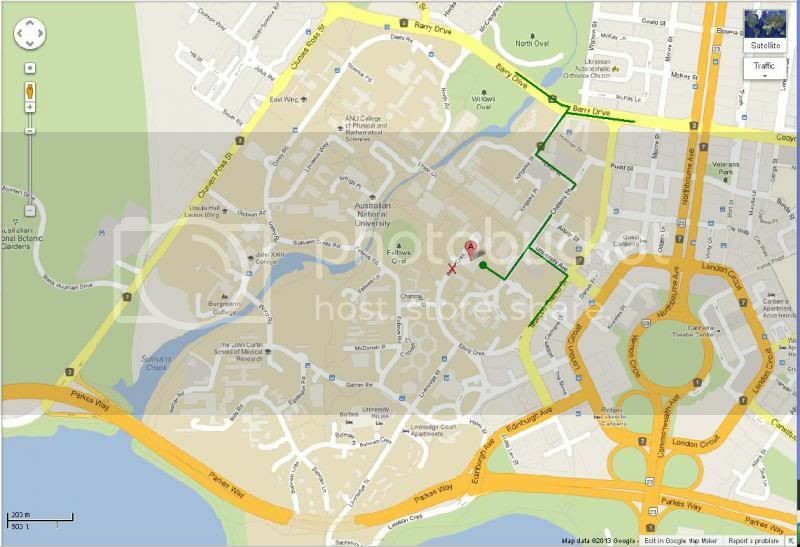 The green is the route into the carpark. The red X marks the mega speed bump. It's more of a social gathering rather than a cruise. People start ariving at around 9pm Friday night and most leave by 12, although a few of us stay a little later. So for those who don't know we were moved on from ANU last Friday because someone complained that we looked like seedy C's, so unless we want to try be less conspicuous and start up a drum circle we're looking for a new place. We drove around and checked a bunch out ended up hanging in a covered car park on Phipps close, Deakin; it was pretty cosy although we'll end up spread out for parking there's space to stand around with quite good shelter. I like the new venue, its a quiet area not too close to houses or visible from the road but if security do a run through I would be surprised if we weren't noticed and moved on, my vote is worth a try though. Thoughts everyone? Hmmm I'm thinking of coming down, but what do guys do there? So you guys park all your cars, then what? Seeing as the weather is warmer, we will be back at the park tonight. Just a heads up Grevillea will full of old people and caravans tonight http://www.canberra100.com.au/calendar/view/471/spin-museum-of-the-long-weekend/ The car park directly opposite over Parkes way is probably as good a substitute as any. Are there many people that aren't in Sydney tonight? Opps, forgot to mention, we are planning to meet for a BBQ this Friday night, the 20th of December. Please feel free to turn up. A few people are bringing meat, bread or drinks to share. We are starting at 7:30.